Erosion control can be a tough problem. Rain water flowing down a slope can, over time, cause the soil to slide and gullies to form. At the extreme, according to Watersheds.org., the soil is washed away down to bedrock. Aside from building terraces and retaining walls, the homeowner can use a more natural measure by planting the slope to hold the soil. Many suitable plants are hardy in USDA plant hardiness zone 5, where temperatures don't go below minus 20 degrees F.
Liriope spicata (creeping lillyturf) is a grass-like green plant that spreads quickly by underground roots and holds the soil effectively. Other liriope varieties are clumping and have a more ornamental use, but they don't provide the rapid coverage. Liriope spicata isn't recommended for borders, but is a good choice for a slope in sun or shade. It is hardy in USDA zones 4 to 9 (zone 4 is at the coldest end of the hardiness range). Several daylily (Hemerocallis) varieties are effective for erosion control. The All-Amercan Daylily Selection Council recommends "Mary Todd," a large-flowered yellow daylily that blooms in the early summer, and "Aztec Gold," a gold variety that can tolerate heat. Mix in a few re-bloomers on the slope, such as the orange "Stella de Oro" daylily and "Black-Eyed Stella" (orange with a dark center). These daylilies are all hardy in USDA zone 5. Bearberry (Arctostaphyllus uva-ursi) is an evergreen ground cover that grows to 1 foot and has glossy green leaves. Pinkish flowers appear in spring, followed by red berries in late summer. A tough plant, bearberry can tolerate poor soil and drought conditions. The plant is a slow spreader, but it is worth the wait. Bearberry is good at erosion control and looks attractive on a slope. Plant bearberry in full sun for best performance. It is hardy to USDA zone 3. Sweet Pea (Lathyrus latifolius) has white, pink or red flowers. Not a plant for a neatly landscaped situation, sweet pea grows into a tangle of vines 2 to 3 feet thick. These plants thrive on rocky slopes in sun to partial sun. For best growth, soil should be well drained. Sweet pea is extremely cold hardy to USDA zone 3. A fern for the shade or part sun, hay-scented fern (Dennstaedia punctiloba) covers an area in soft fronds of light green. This type of fern does well on rocky slopes. 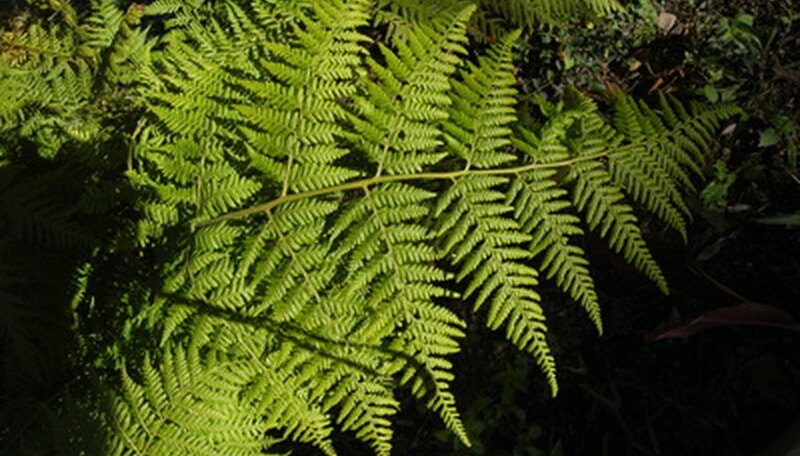 Preferring moist, rich soil, hay-scented ferns will nevertheless tolerate dry sites and drought. The fronds have a pleasant fragrance when they're crushed. Hay-scented ferns are extremely cold hardy, tolerating USDA zone 3. Eastern red cedars (Junirperus virginiana) are conical-shaped evergreens that will fit easily into the landscape. They will tolerate difficult sites, such as a slope open to the weather, and poor soil. Amenable as they are, red cedars need sun. They will reach 25 feet once established and are cold hardy to USDA zones 4 and 5. European dune grass or blue dune grass (Elymus glauca) will stop at nothing to cover a slope. Invasive in gentler situations, this ornamental grass spreads by underground roots and has sharp, bluish foliage. European dune grass isn't neat and manicured, but it will hold back a sandy, dry slope. Full sun is essential to its growth. It is hardy to USDA zone 4.